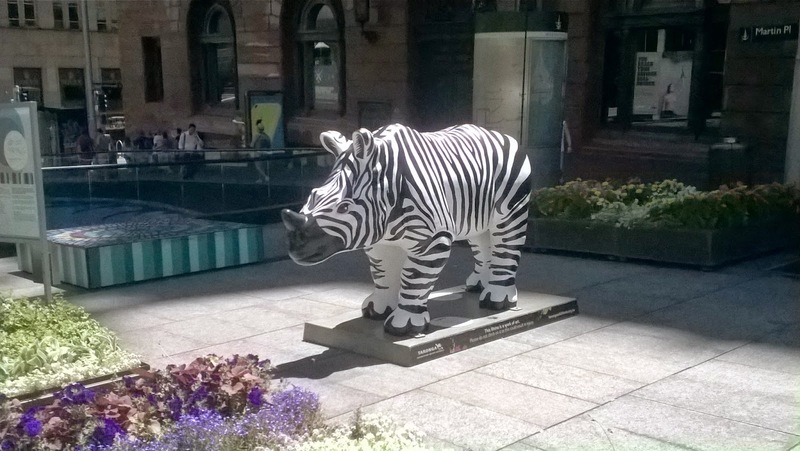 "I'm finding it a little hard to blend in", said the zebra rhino. 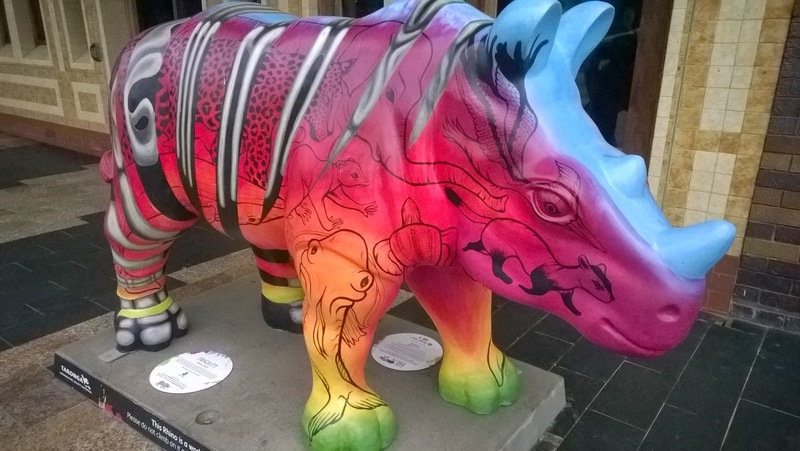 "I know what you mean, camouflage seems to be a lost art", said the rainbow coloured animal print rhino. How fun! Such colorful art to brighten your downtown! They must be terribly confused...difficult at parties.